Every Wednesday for more than two and a half years Vincent and I have been posting photographs of weather vanes located in or near the Nutfield area (the former name for the land where Londonderry, Derry and Windham, New Hampshire are now located). Most are historically interesting or just whimsical and fun weather vanes. If you know an interesting weather vane, please send me an email or leave a comment below. Today's weather vane was photographed in Tennessee by a reader, and sent in for this post. Do you know the location of weather vane # 153? Today's weather vane was spotted by reader and fellow genealogy blogger, Carol A. Bowen Stevens from the blog "Reflections from the Fence". 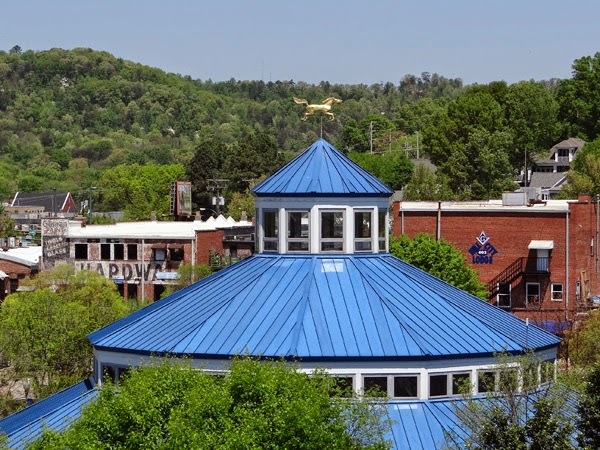 Carol was traveling by RV from Florida to home, and passed through Chattanooga, Tennessee where this weather vane is located at Coolidge Park. 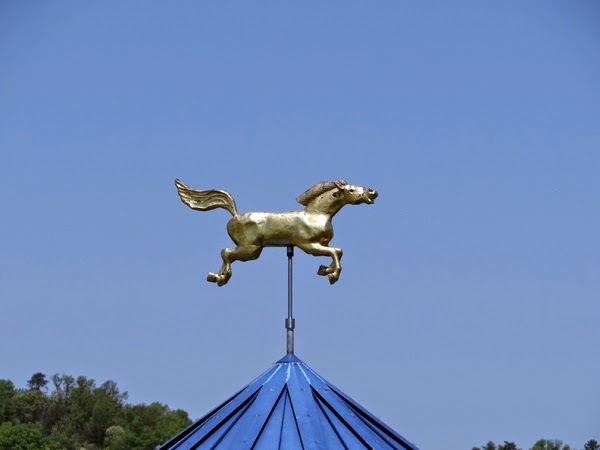 The weather vane is a top a modern pavilion that houses a merry-go-round built in 1894. This carousel features 52 different, hand carved animals that were all restored by a team of craftsmen headed up by local woodcarver Bud Ellis at his nearby studio "Horsing Around". You can ride this antique merry-go-round for $1. The park was named after the World War II medal of honor recipient, Charles Coolidge. Luther Simonds Munroe is my 3rd great grandfather. He was the son of Andrew Munroe, a Revolutionary War patriot, and Ruth Simonds, born 10 May 1805 in Danvers, Massachusetts. He was a "huckster", with a newspaper stand about two blocks from this cemetery in Peabody Square. He died young, at age 46, on 23 December 1851. His had married on 3 September 1826 in Reading, Massachusetts to Olive Flint. She was the daughter of John Flint and Phebe Flint (second cousins). They had six children born in Danvers and Salem, Massachusetts. Several years ago a distant Munroe cousin contacted me via the internet about genealogy. She lived in Hudson, New Hampshire, right next door to me in Londonderry. We have met several times to exchange Munroe information. She descends from Luther and Olive's son, William Calvin Munroe (1833-1891). I descend from his elder sister, Phebe Cross Munroe (1830 - 1895). She took me to Peabody to visit the Monumental Cemetery, where many Munroes and Wilkinsons are buried. We had a fun day together exploring the cemetery with her dog Hamm, and we even had time to drive over to Farnham's in Essex for fried clams for lunch. 4. William Calvin Munroe, born 21 December 1833, died 10 August 1891 in Salem; married Adeline Bradley Jones. 5. Olivia Adeline Munroe, born 18 January 1836 in Salem, died 29 November 1905 in Charlestown, Massachusetts; married first to Corydon B. Green, married second to John Henry Grout. 6. George Warren Munroe, born 2 August 1840 in Salem, died on 2 February 1867 in Danvers of consumption, unmarried at age 26. He is buried with a Civil War marker. He served as a private in Co. A of the 59th Infantry Regiment of Massachusetts between 16 November 1863 and 11 May 1865. My Dad was an avid golfer, and these photos were taken when he was in college, in the 1950s. I miss my Dad, and often think about him when I see people strolling the local golf links or hitting balls at the practice range. Dad's brother would play golf with him, and some of his nephews would play. My daughter and Mom learned golf, but I was never very interested in the game. I wondered who else in the family played golf before my Dad. His father was not a golfer, and Dad was not raised in a family that belonged to a country club. He was a poor college student without a lot of money for his golf hobby. He was more likely to sneak into Myopia Hunt Club to play a round on their golf course, or go with friends to a public golf link. The only person I have found in the family tree who probably golfed was on my Mom's side of the family. Some of the Emersons and their kin in Boston were socialites, and one of these cousins married a man named John M. E. Morrill who I found mentioned in many newspapers around the 1890s through 1910s. He was part of the "horsey set" who belonged to the riding park in Brookline, Massachusetts that is now known as "The Country Club". This golf course can be seen on televised golf programs, as host to many PGA tournaments. I don't know who took these photos of my Dad playing golf, but they are very good, especially the one directly below. What an action shot! The last one shows my Dad changing his shoes in the car, not at the clubhouse. He was probably sneaking onto a golf course again! Edmund Ingalls is the 8th great grandfather of children’s book author Laura Ingalls Wilder, who wrote the Little House series. A good source for information on this family is Ingalls Genealogy by Dr. Charles Burleigh, 1903, and also Ingalls Genealogy by Dr. Walter Renton Ingalls, 1933. I descend from two of Edmund Ingalls sons, Robert and Samuel, and from his daughter Elizabeth. I think this is the only ancestor I have from whom I descend from three siblings. I, Edmund Ingalls of Lynn, being of perfect memory commit my soul unto God, my body to the grave and difpose of my earthly goods in this wife. Firftly, I make my wife Ann Ingalls, sole executor, leaving my houfe and houfelot, togather with my stock of cattle and corn, to her, Likewife I leave Katherine Shipper with my wife. Item, I bequeath to Robert my sonne & heir four pound to be payd in two years time by my wife, either in cattle or corn Likewife I bequeath to him or to his heirs, my houfe & houfelot after the deceafe of my wife. Likewife I bequeath to Elizabeth my daughter, twenty shillings to be payd by my wife in a Heifer calf in two years time after my deceafe. Likewife to my daughter Faith, wife to Andrew Allen, I bequeath two yearling calves, and inform my wife to pay him forty shillings debt in a years time after my deceafe. Likewife to my sonne John, I bequeath the houfe & ground that was Jeremy fitts, lying by the meeting houfe, only out of it the sd John is to pay within four years, four pounds to my sonne Samuel, and the ground to be his security, further I leave with said John, that three Acres of land he had in England fully to pofsefs and enjoy. Likewife, I give to Sarah, my daughter, wife of William Bitnar my two ewes. Likewise, to Henry my sonne, I give the Houfe that I bought of Goodman West, and six Acres of ground, lying by it, and three Acres of Marsh ground lying at Rumley Marsh, and this the sd Henry shall pofsefs in two years after my deceafe, Only out of this the sd Henry shall pay to my sonne Samuel, four pounds within two years after he enters upon it. Likewife I bequeath to Samuel my sonne, eight pounds to be difcharged as above, in the premifes. Laftly, I leave with Mary the Heifer calf that she enjoyed and leave her to my wife for future dowry. Finally, I appoint Francis Ingalls, my brother & Francis Dane, my sonne in law, overfeers of my will, and order that thofe things that have no particular exemption in the will mentioned, be taken away after my deceafe and entreat my overfeers to be helpful to my wife in ordering her matters. Proved 14:9:1648 by Francis Ingalls, and 27:4:1649 by William Morton. Generation 1: Edmund Ingalls, son of Robert Ingalls and Elizabeth Unknown, born 17 June 1586 in Skirbeck, Lincolnshire, England, died 16 September 1648 in Lynn, Massachusetts; married about 1618 in England to Ann Tripp. She was born about 1600 in Skirbeck, and died about 1649 in Massachusetts. Nine children and I descend from three: Elizabeth, Robert and Samuel Ingalls. Generation 2: Elizabeth Ingalls, baptized on 28 February 1619 in Skirbeck, Lincolnshire, England, died 9 June 1676 in Andover, Massachusetts; married about 1639 to the Reverend Francis Dane, son of John Dane and Frances Bowyer. He was born 20 November 1615 in Bishop Stortford, Hertfordshire, England and died 17 February 1697 in Andover. Generation 2: Robert Ingalls, born about 1621 in England, died 3 January 1698 in Lynn; married about 1646 to Sarah Harker, daughter of William Harker and Elizabeth Unknown. She was born abut 1625 and died 8 April 1696. Eight children. Generation 3: Nathaniel Ingalls, born about 1660 in Lynn, died about 1736; married to Anne Collins, daughter of Joseph Collins and Sarah Hires. Ten children. Generation 4: Hannah Ingalls, born about 1713, died before 15 April 1798; married June 1735 in Lynn to Daniel Hitchings, son of Daniel Hitchings and Susannah Townsend. 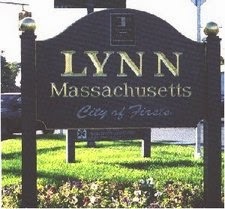 He was born 19 October 1709 in Lynn, and died 25 April 1760 in Lynn. Twelve children. Generation 2: Samuel Ingalls, born about 1632 in England, died 30 August 1717 in Ipswich, Massachusetts; married 9 December 1656 in Ipswich to Ruth Eaton, daughter of John Eaton and Ann Crossman. She was baptized 12 February 1637 in Hatton, Warwickshire, England and died before 1716 in Massachusetts. Nine chlldren. Generation 3: Joseph Ingalls, born 23 December 1666 in Ipswich, died 1724 in Gloucester, Massachusetts; married 3 January 1704 in Ipswich to Sarah Thompson, daughter of Alexander Thompson and Deliverance Haggett. She was born about 1671 in Ipswich. Five children. Generation 4: Mary Ingalls, born 1716 in Gloucester, died 27 December 1796 in Chebacco Parish, Ipswich, Massachusetts; married 12 January 1738 in the Chebacco Parish Church, Ipswich to William Allen, son of Joseph Allen and Catherine Leach. He was born 21 May 1711 in Manchester, died 10 June 1785 in Chebacco Parish. Nine children. any Provocation therefor from us. Every Wednesday for two years Vincent and I have been photographing weather vanes located in or near the Nutfield area (the land where the towns of Londonderry, Derry, Windham and Manchester are now located). Most are historically interesting or just whimsical and fun weather vanes. 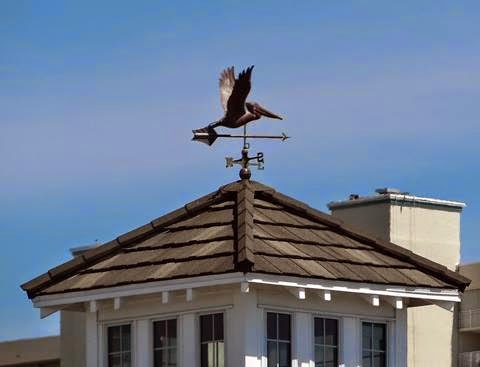 Today's weather vane was sent in by a fellow genealogist who was traveling through Florida. Have fun guessing where you may have seen this weather vane. 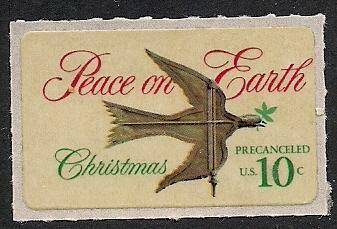 Today's weather vane was sent to me by fellow genealogist Carol A. Bowen Stevens. She was vacationing in Florida and photographed this in Daytona Beach, Florida. She didn't get a photo of the entire building, but she thinks it was on Downlawton Boulevard, Daytona Beach Shores. I love this wonderful three dimensional pelican. It looks quite lifelike. I've only been to the Florida coast a few times, and each time I was there I was very amused watching the pelicans on the beach. We don't have any waterfowl like them in New Hampshire or New England! If you know this "mystery location" please leave a comment below! We are waiting to meet you there"
Now there is a large monument to the entire family at Plot #950 at Monumental Cemetery. I don't know who bought the new monument, or what happened to the original gravestones. It is a mystery. Apparently 15 years ago many of the family members did not have individual stones, or they had been lost, broken or stolen. 1. Robert Henry Wilkinson, born 14 January 1855 in South Danvers (now Peabody), died 22 September 1884 in Peabody; married on 18 April 1883 in Peabody to Eliza Harris Poor, the daughter of Nathan Holt Poor and Abigail Morrill. She was born on 27 October 1854 in Danvers, and she married second to Moses Bailey Page on 18 July 1893 in Peabody. Robert's only son, Edward Poor Wilkinson, died at two months old on 10 October 1884, just two weeks after Robert's own death. 2. Walter Wilkinson was born 3 November 1856 in South Danvers and died on 2 April 1858 in South Danvers. 3. Albert Munroe Wilkinson was born 7 November 1860 in Danvers, and died 12 May 1908 at the Corey Hill Hospital in Brookline, Massachusetts; married on 18 October 1894 in Salem to Isabella Lyons Bill, daughter of Caleb Rand Bill and Ann Margaret Bollman. Isabella was born in January 1863 in Machias, Maine and died 19 January 1935 in Beverly, Massachusetts. They had two children. All of Robert Henry Wilkinson's sons died young. The only one who had children who lived to adulthood was the youngest son, Albert, my great grandfather. Of his two children, only my grandfather, Donald Munroe Wilkinson, had descendants. None of us know who bought or erected this monument, which is quite large and very grand. It is a mystery. 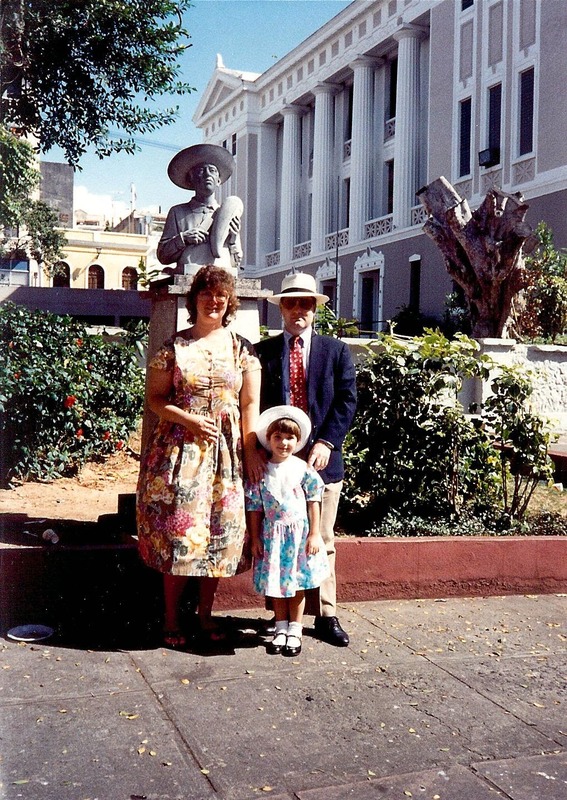 This photo was taken at La Plaza de la Barandilla. The statue is a bust of Patricio Rijos "Toribio", famous for playing the "guicharo"
This writing is to inform the Court, that though Robert Leach late of Manchester died without perfecting his will, yet sometime beofre he died he declared in the presence of some neighbors as witness that his mind was "that after some legacies as follows were paid to his daughters, that is to say to his maried daughters: Sara and Elizabeth, fiue pounds apeece, to his daughter mary ten pounds & to his two youngest daughters: Bethia and Abigaile eight pounds apeece, that then his whole remaining estate should be left with his beloved wife, Alce Leach, & his two sons Samuell & Robert Leach to be equally proportioned amongst them. "This is farther to certifie, that although this was the last will and testament of the aforesaid Robert Leach, yett upon farther consideration, Alce Leach the widdow & her two sones Samuell & Robert Leach have agreed within ourselves freely & Joyntly together, tomake an adition to these legacies out of our owne estates, as to the two eldest daughters, Sara & Elizabeth what they received from theire father, as theire portions, with the lagacies given them by theire father, in his last will & testamt: as aboue written, & the adition made there vunto by their mothr Alce Leach the widdow, & their brothers Samuell & Robt Leach is to amount to fifteene pounds appeece, to each of them they being married haveing received som portion alreddy with that then receiued & the legacies due by theire fathers last will & testament, with the adition made by theire mother, & brethren doth make up fifteen pounds apeece to Sara & Elizabeth, for the rest of the daughters, Mary, Bethiah, & Abigaile what theire father left hem as legacies in his last will & testament & the adition made by the widdow Alce Leach there mother, & Samuel & Robt: there brothers, comes to fifteene pounds apeece, to each of them: Mary, Bethiah & Abigiale. "This farther to informe the Honrd Court wt is agreed upon within ourselves, alce Leach the widdow & her two sons Saml & Robt Leach, that Samuel and Robert Leach taking into consideration theire mothers condition, shee being left a widdow, wee haue consulted together for her comfortable subsisting, for som way to continue her maintenance in this her condition, And that ye widdow Alce Leach with her free consent hauing resigned her interest in said estate as left by her husband Robert Leach, in his last will & testament, the which her interest shee hath, resigned up to her sons Samuell & Robert Leach, upon condition as followeth, That Samll:& Robt Leach haue taken that whole estate, as left by our father Robt Leach late deceased in Manchester, upon the resignement of the widdow alce Leach our mother, haueing resigned up her interet in that estate soe left by our father into our hands in consideration wheareof wee the aforsd Samuell & Robert Leach, haue engaged to pay to our mother, the widdow Alce Leach, ten pounds by the yeare in such pay may be for her use & shee stands in need of, & the house left by our father where shee now lives with the stuff now belonging thereto is to remaine to her out of this esat: soe that the yearly pay ingaged by her sons to be pd her with the house & household stuff, is to maine to her if shee continue in a widdowes condition, but if shee marry then all the whole estate fals into the hands of her sons: Samuell & Robert Leach they to continue or ramaine ingage to paye, but fiue pounds by the yeare to there mother Alce Leach duering her lifetime. "It is further to certifie that Samuell & Robert Leach doe freely consent that theire mother Alce leach the widdow shall reserve to herself out of the estate afore mentioned, shee to reserve to herselfe twenty pounds, without any exception made of condtions, only that when she dyes, shee to bequeath it to her children according as ashe please, vnto whome to bestow it vupon as legacies from herselfe. "To that is heare agreed upon as afore mentined wee the pties aforesaid doe sett our hands." Allowed by the court 1: 5m: 1674 and the saide Alce, widow and the two sons Samuell and Robert Leach appointed administrators. Generation 1: Lawrence Leach, born about 1593 in England, died before 24 June 1662 in Beverly or Salem, Massachusetts; married to Elizabeth Unknown. She died about 1674 in Beverly. Generation 2: Robert Leach, born about 1615, died before June 1674 in Manchester; married Alice Unknown. Four children. Generation 3: Samuel Leach, born about 1653 in Manchester, died 14 October 1696; married first about 1672 to Arabella Norman, daughter of John Norman and Arabella Baldwin. She died 8 May 1681 in Manchester. Three children. He married second Hannah Norman, her sister. Generation 4: Catherine Leach, born 1 October 1680 in Manchester, died 1711; married 28 October 1696 to Joseph Allen, son of Samuel Allen and Sarah Tuck. He was born 26 June 1672 in Manchester, died 17 August 1727 in Manchester. Seven children. 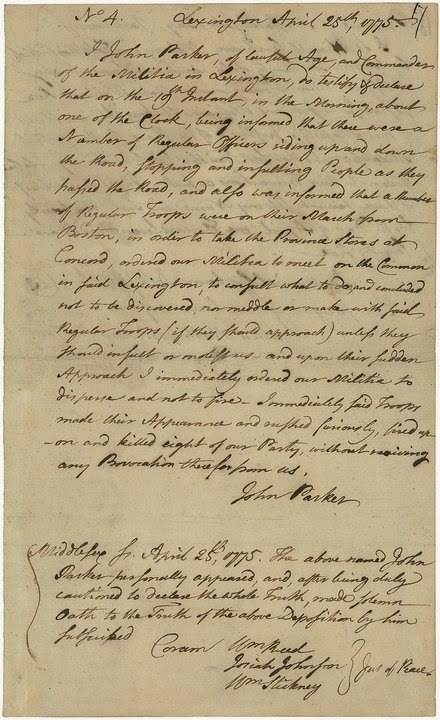 “I, William Munroe, of Lexington, on oath do testify, that I acted as orderly sergeant in the company commanded by Captain Parker, on the 19th of April, 1775; that early in the evening of the 18th of the same April, I was informed by Solomon Brown, who had just returned from Boston, that he had seen nine British officers on the road, traveling leisurely, sometimes before and sometimes behind him; that he had discovered, by the occasional blowing aside of their top coats that they were armed. On learning this, I supposed they had some design upon Hancock and Adams, who were then at the house of the Reverend Mr. Clarke, and immediately assembled a guard of eight men, with their arms to guard the house. About midnight, Colonel Paul Revere rode up the road and requested admittance. I told him that the family had just retired, and had requested, that they might not be disturbed by any noise about the house. "Noise!" said he, "you'll have noise enough before long. The regulars are coming out." We then permitted him to pass. Soon after, Mr. Lincoln came. These gentlemen came different routes, Revere came over the ferry to Charlestown, and Lincoln over the neck through Roxbury; and both brought letters from Dr. Warren in Boston to Hancock and Adams, stating that a large body of British troops had left Boston, and were on their march to Lexington. 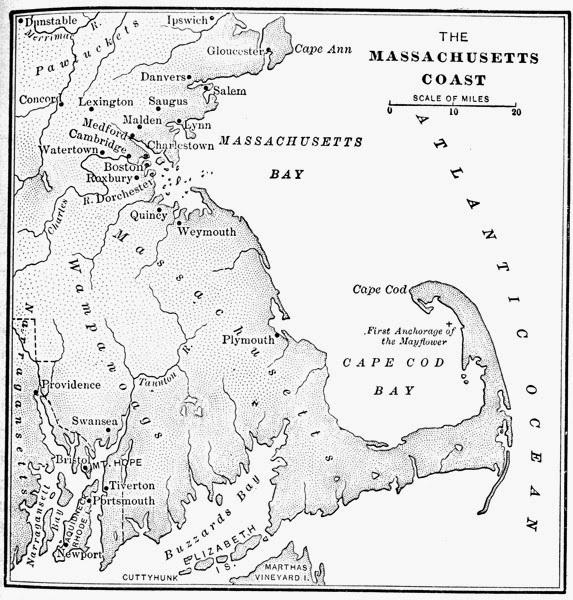 On this, it was thought advisable, that Hancock and Adams should withdraw to some distant part of the town. To this Hancock consented with great reluctance, and said, as he went off. "If I had my musket, I would never turn my back upon these troops." I however conducted them to the north part of town, and then returned to the meeting-house, where I arrived at about two o'clock on the morning of the 19th. On the arrival of Colonel Paul Revere, the alarm had been given, and, on my return, I found Captain Parker and his militia company paraded on the common, a little in the rear of the meeting-house. About this time, one of our messengers, who had been sent toward Cambridge to get information of the movement of the regulars, returned and reported, that he could not learn, that there were any troops on the road from Boston to Lexington, which raised some doubt as to their coming, and Captain Parker dismissed his company, with orders to assemble again at the beat of the drum. Between day-light and sun-rise Captain Thaddeus Bowman rode up and informed, that the regulars were near. The drum was then ordered to be beat, and I was commanded by Captain Parker to parade the company, which I accordingly did, in two ranks, a few rods northerly of the meeting-house. They were, however, beaten back to Boston. Col. M. participated with his company in the events of the day, leaving the care of his public house [shown above] in the superintendance of a neighbor, whom the British killed on their retreat. Till within a year or two past, like Cincinnatus, Col. M. labored on his farm.—On the occasion of the visit of Lafayette to Lexington, three years since, arm in arm these aged veterans reconnoitered the field of battle, previous to the delivery of the address to Lafayette from the Lexington committee; and he assisted at the laying the foundation stone of the Bunker Hill Monument on the 17th June 1825. Col. M. has been ever esteemed by his fellow townsmen as well as by strangers, for his urbanity of manners and hospitality. As a member of the legislature and in municipal stations, he was respected for information, judgement and rectitude; and as a military officer, from a subaltern to a colonel, to which grade he rose, he was distinguished as an able tactician. It is productive of a melancholy and heartfelt sensation, to follow to the grave “the house appointed for all the living,” one after another, those vast vestiges of “the times that tried men’s souls.” It seems like tearing from us our “household gods;” like removing the “ancient landmarks” of our nation’s birth; the objects of all that is venerable and sacred, till scarcely one is left to tell the tale of revolutionary prowess. But the consolation is, that they are gathered “like a shock of corn fully ripe,” blessed with the grateful recollections of their enfranchised countrymen, full of honors and good works, to a better and happier state of existence. His funeral was attended by a large concourse of relations and friends." 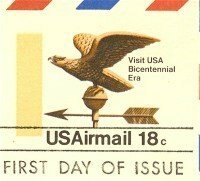 Today's weather vanes were found in a New England museum, as well as on a recent series of US postage stamps. On 20 January 2012 the US Postal Service held a ceremony at the Shelburne Museum in Vermont to celebrate the release of five postage stamps featuring some examples from their weather vane collection. One of these stamps was the centaur featured last week (click HERE to see the centaur), and the others are all shown above. This display is currently at the Stage Coach Gallery at the Shelburne Museum. Sarah Pierce was the daughter of Captain Joshua Pierce and Elizabeth Hall (the sister of Mary Hall March). This aunt and her niece were buried side by side, and the stones look like they were made by the same carver. It is interesting that both women were married to doctors. Sarah first married John Winslow and had three children with him before he died in 1731. She married second to Dr. Nathaniel Sargent. According to Sidney Perley’s History of Salem, “Old Goodman Norman and his son” were already at Salem before Governor Endicott arrived in 1628. My 10th great grandfather, Richard Norman (1580-1653) arrived at Cape Anne, Massachusetts with the Dorchester Company in 1624, as part of a fishing fleet. Some of these fishermen returned to England, and others stayed with Roger Conant at Naumkeag (now Salem, Massachusetts). Richard and his son, John, were considered “Old Planters”. His wife and daughter-in-law were members of the Puritan church in 1637, after Winthrop Fleet arrival. 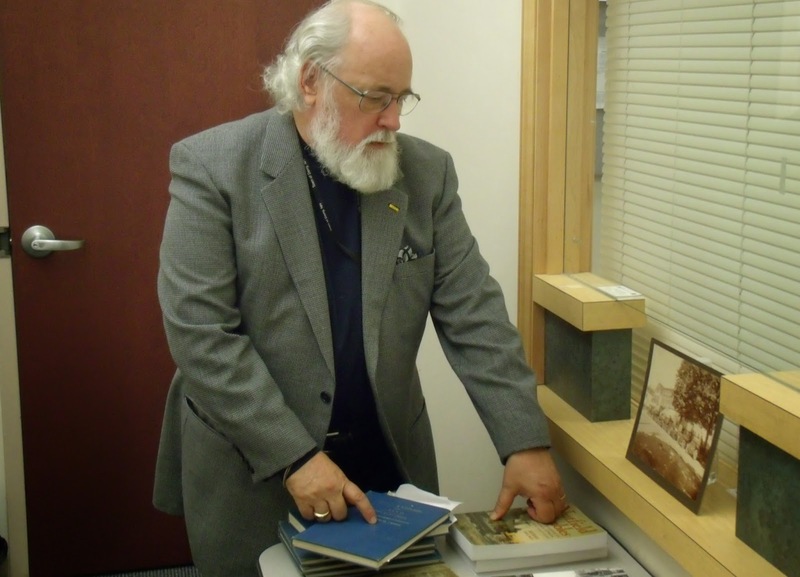 Richard Norman was a shipwright, and also a fisherman. There is a sketch of his life in The Great Migration Begins. He was married, but the name of his wife is unknown. 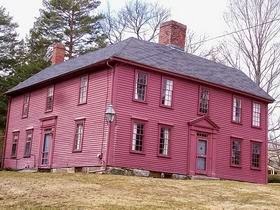 He was granted twenty acres of land in Salem in 1636. In the 1637 division of marshland he was given ¾ of an acre. The next year he was granted another twenty acres “that was Mr. Thorndeck’s”. In 1653 he deeded his son, Richard Norman, his house and 10 acres “in Marvelheade upon Derbe Fort side” along with his rights to cow commons. Generation 1: Richard Norman, born about 1580 in England, died 22 April 1653 in Marblehead, Massachusetts; married and five children. Generation 2: Alice Norman, born in England, died 8 March 1632 in Salem, Massachusetts; married about 1629 to William Allen. He was born 1602 in England and died 30 January 1678 in Manchester, Massachusetts. 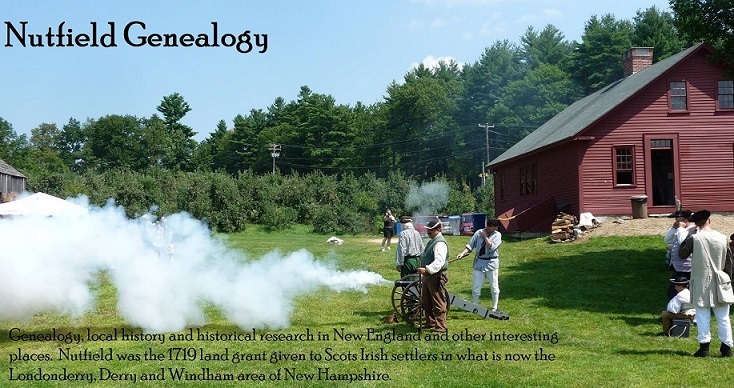 Generation 2: John Norman, born about 1612 in England, died about 1673 in Manchester, Massachusetts; married about 1629 in Salem to Arabella Baldwin, daughter of Sylvester Baldwin and Sarah Astwood. She was born about 1613 in England and died 23 November 1679 in Salem. Nine children. Generation 3: Arabella Norman, born 13 February 1644 in Salem, died 8 May 1681 in Manchester; married about 1672 in Manchester to Samuel Leach. He was the son of Robert Leach and Alice Alls. He was born about 1653 in Manchester and died 14 October 1696. Three children.